Edward Earle was born July 16, 1882, in Toronto, Canada. Earle was a popular stage actor before going into films and worked with such stage luminaries as David Belasco, DeWolf Hopper Sr., Marie Cahill and the Schuberts. He made his Broadway debut in "The Triumph of Love" in 1904. He began working at Edison in 1914, but over the years, he made films for a number of studios including Vitagraph, Famous Players, Warner Brothers, MGM and Columbia. Some of his earliest work with Edison paired him with Mabel Trunnelle in a one-reeler series entitled "Olive's Opportunities" which proved to be very popular. Later, at Vitagraph, he was paired with Agnes Ayres in a very popular series of two-reelers based on the O. Henry stories. 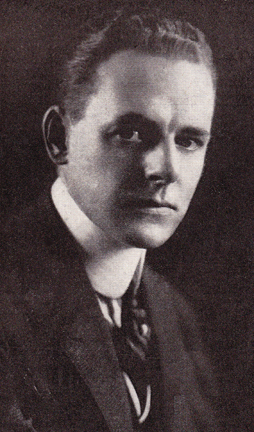 During the silent era, Earle is credited with over 115 shorts and features. Whens sound came in, he was still very active, usually in low-budget features or serials in supporting roles. In all, he is credited with over 440 film appearances, many during the 1930's and 1940's uncredited, but also quite a few TV appearancese in the 1950's and 1960's in such shows as "The Bob Cummings Show," "My Little Margie," "Annie Oakley," "Four Star Playhouse," "Crossroads," "Broken Arrow" and more. His interests over the years included art, aviation and automobile racing. He retired in the 1960's and died at the California Motion Picture Country Home in 1972.